The re-emergence of the halo engagement ring is a beautiful thing. 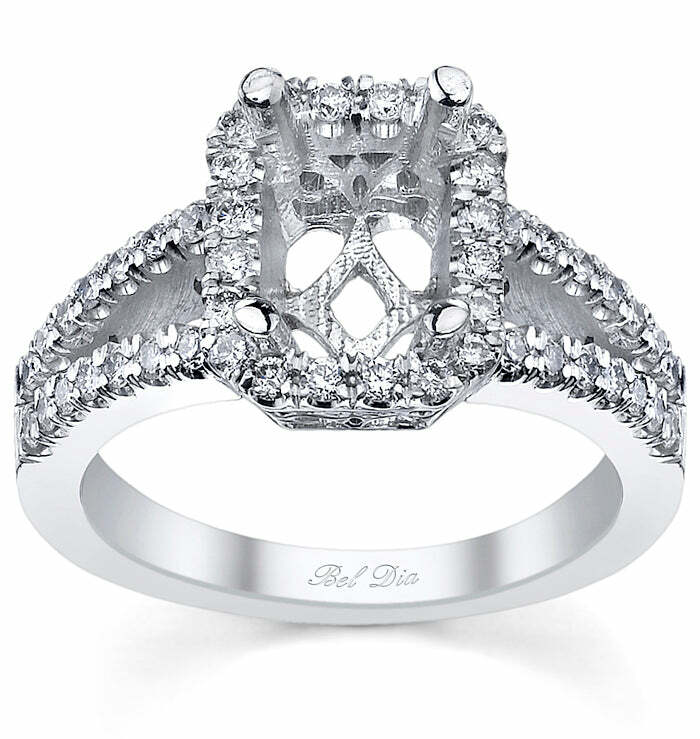 Halo ring settings first became popular in the 1920’s when extravagance and glamor were idealized and celebrated. A halo engagement ring these days can be crafted using the finest materials as well as the highest quality methods, which makes a new halo ring something even more special. Our jewelry designers specialize in vintage-inspired engagement rings for all diamond shapes. This halo engagement ring can be set with an emerald cut diamond or customized for your center stone of choice. Many brides-to-be are planning their weddings with a more vintage-inspired feel to them and halo ring settings do the exact same thing. These rings can be set with micro pave diamonds along the sides of the ring, which give these rings their antique look. A type of detailing called milgrain can also be added to the rings, which further enhances the antique-look of these rings. The best part about these vintage-inspired engagement rings is that they are completely customizable. You can create each piece with a diamond and jewelry expert for a loose diamond or allow them to find you the perfect center stone. Embrace both the old and the new as the choice for your engagement ring with one of these gorgeous pieces.